This weekend I discovered a previously undiscovered cable channel that Comcast offers as part of whatever package it is that I have. It's a station called "This." This name "This," strikes me as a name like The Who, or The Guess Who, as being designed to cause confusion and Abbott and Costello routines. 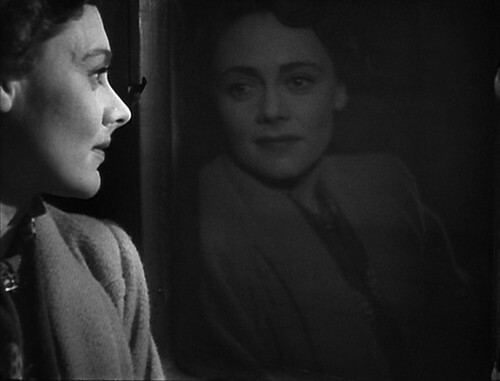 Regardless of its indeterminate pronoun name, though, it plays many magnelephant movies such as David Lean's Brief Encounter. Everything should be as black and white and full of trains as that film. In other news, I made a sweet potato pie using a variation of this gluten free crust. It was, as the subject suggests, magnelephant. Sometimes you need to use the name of your blog in your posts, otherwise it gets sad. Neil Gaiman's graveyard party count reaches 33 locations. Some people claim to have spotted magnelephants in Sweden. They also claim magnelephants are magnetic elephants, something previously claimed by this blog without any knowledge of any other people existing with similar claims. These people design mugs. People wonder if the end of the world is the new vampire. Jonathan Lethem talks to Salon about madness, obsession, and genius. His novel is not about mad scientists, which is too bad, as they seem to be on my mind of late and sometimes I'd like to believe I have the power to bend the world to my will. Sometimes that goes horribly wrong, though, so maybe not. Tomorrow a story I wrote, "Some Things About Love, Magic, and Hair," will go online at the Interstitial Arts Foundation Annex. If you haven't read the other stories you should go do that.